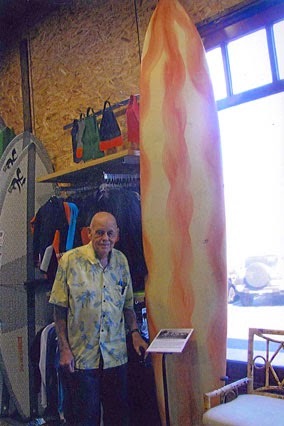 Pictured above is Bill "Fubar" Faerber, with our Whitey Harrison foam board, #161, shaped in 1959 for Bill. 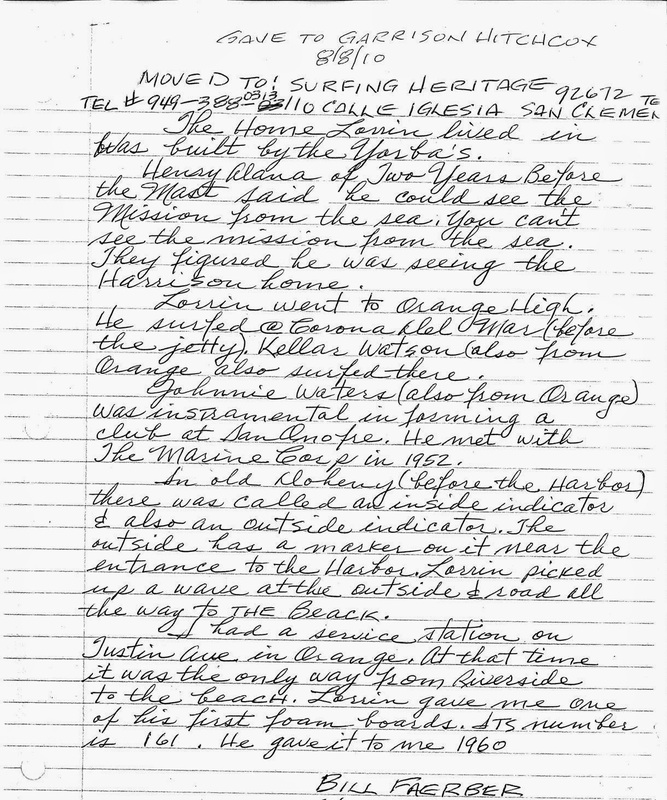 It's on display at the Hobie Surf Shop in Dana Point as part of SHACC's "Surfing Innovators Series" exhibit, along with a lot of other great memorabilia and photos attributed to California legendary waterman, Lorrin "Whitey" Harrison. Bill and his family stopped by SHACC and told us about the Whitey board he originally owned, so we directed him to go check it out at the Hobie shop. He sent us this photo along with the story shown below (CLICK on the letter to enlarge).